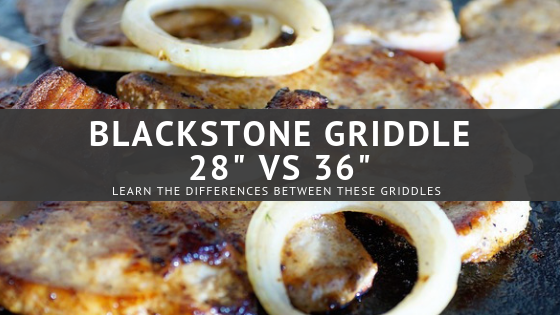 Blackstone Griddle 28" vs 36" - What's the Difference? My 10 year old grill is on its way out. I suppose it could be fixed, but the cost of parts and my labor time are just not worth it. It’s time to upgrade to one of the amazing Blackstone griddles for my next outdoor cooking station. You don’t have to worry about the annoyance of a grill cover that is too large or too small with these griddles. Blackstone makes both a 28″ grill cover and a 36″ grill cover to fit each model. You can also purchase a hard cover that fits over the griddle top. The 28″ hard top can be found here and the 36″ can be found here. Blackstone recommends using this hard cover with one of the soft covers above. The major differences are price and size for these two griddles. I would suspect most people will make their decision based on these two factors. I have a family of three, so the 28 inch griddle will be sufficient for my needs. However, for people that like to entertain or have a large family, it may be worth spending the money for the larger cooking space. Keep in mind there is an approximate 272 square inch cooking space difference between the two griddles. That’s a lot of extra hot dog and burger space. It is something that most people will likely want to deeply consider before buying. While the 36″ Blackstone has built in areas to hold a trash bag and a paper towel roll, this is not enough to attract me to this larger grill. Below I have provided some of the major benefits of owning a griddle. No Grill Grates – Unlike a traditional grill, an outdoor griddle does not have grates where food can slip through to the flames. A griddle is versatile because it can cook things that a grill cannot directly cook on its grates. For example, you probably are not going to have much success cooking eggs and hash browns directly on the grill grates. With a griddle, breakfast is super simple and practical. 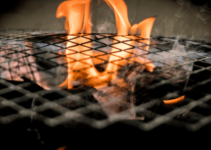 No Direct Flames – A problem with traditional grills is that the flames can excessively char your food if you are not careful. A griddle has a flat top surface, so food coming in direct contact with the flames is not an issue. However, do not think that a griddle cannot get extremely hot. You will still need to be careful and it is a good idea to protect your hands with heat resistant gloves. Even Cooking – The flat surface of the griddle allows for even cooking and browning of your food. It will provide a more consistent cook compared to a traditional grill. Moisture – Traditional grills tend to draw away the juices from meats. 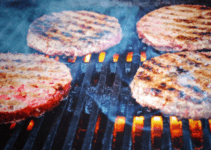 A griddle does a better job at keeping meats moist for a better tasting meal. Longer Cooking Times – A griddle tends to take longer to cook compared to a traditional grill. No Traditional Grill Taste – Many people love the taste of food that has been exposed to the open flame through the grill grates. That is something you are not going to receive through a griddle. 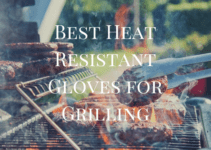 No Grill Marks – If you can’t live without those classic grill marks on your meats, a griddle may not be a good choice for your outdoor cooking area. You also lose the ability to lightly char the outside of foods with a griddle. Can a Grill Be Used Indoors?